Candles tend to be associated with positive occasions like birthdays, Christmas and other festivities, carol-singing, church traditions, and of course romantic dinners! For this reason it can be quite surprising to find out that they cause many fires and fire-related losses every year. According to the Country Fire Authority, property fires can occur when candles are left unattended, placed near curtains or furnishings, or if they tip over unnoticed. Candles can get hot quickly, and caution needs to be exercised especially if they are going to be kept burning for some time. Always keep candles clear of curtains, table-cloths, paper, and any other flammable items. Place candles in sturdy holders made from non-flammable material. Ensure that the holders are placed on stable surfaces that are resistant to heat. Do not leave candles burning for hours on end. They should be extinguished before they burn right down to the last inch of wax. Putting candles out with an extinguisher should help prevent burns. If you have a church tradition that involves children carrying or extinguishing candles, make sure they are supervised at all times. Don’t allow candle wicks to get too long – keep them trimmed to less than 1cm. Allow candles to cool down properly before putting them away. If using oil-burners, use the same principles as outlined above for candles. Consider using an alternative to candles that carry less risk. For instance instead of using candles during a power failure, have a supply of battery-powered torch lights ready instead. 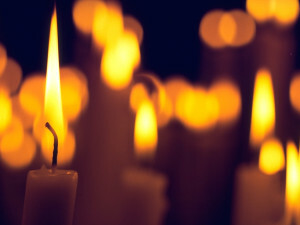 If you want to use candles in your church and you are concerned about fire-safety, consider using battery-powered candle lights or candle-shaped globes instead. These can provide the look of candles without the use of direct flame. More information and tips on church fire safety can be in our article on fire-prevention strategies, and also at the Fire Protection Association Australia (FPAA) site. An induction / mini-course on the use of fire-safety equipment can also be accessed from our Training page.